Rice is an important source of vitamins of group B, which help to strengthen the nervous system. The structure of rice consists of eight essential amino acids that human body needs to build new cells. It contains lecithin, a well-known activator of brain function (increases intelligence), oligosaccharides that renews intestines and gamma-aminobutyric acid, which helps to stabilize blood pressure. Rice contains a lot of potassium. This mineral neutralizes the effect of salt ingested with other foods on body . 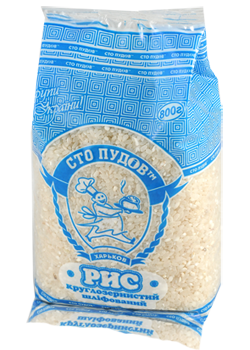 The rice has also a small amount of phosphorus, zinc, iron, calcium and iodine. The nutritional properties of rice are somewhat different depending on its typ: brown and parboiled rice contains more minerals than white rice. 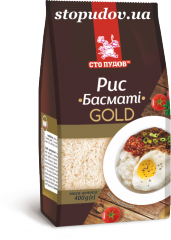 Unbelievable price on Round grain rice, 800 g in Kharkov (Ukraine) company Sto Pudov ™.